Coffee. I don't know what it is about coffee, it just messes me up. 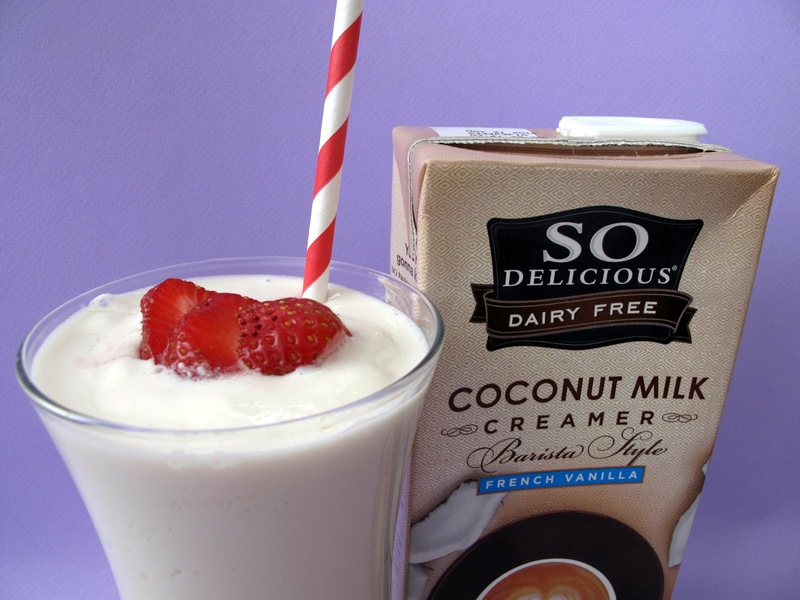 Isa tried the Barista Style Original Creamer in her coffee and liked it. Nuff said. I mean, this stuff is made to be put into coffee. And last but not least is the Unsweetened Vanilla Coconut Milk. I put some into a bowl of Erewhon Strawberry Crisp Cereal. 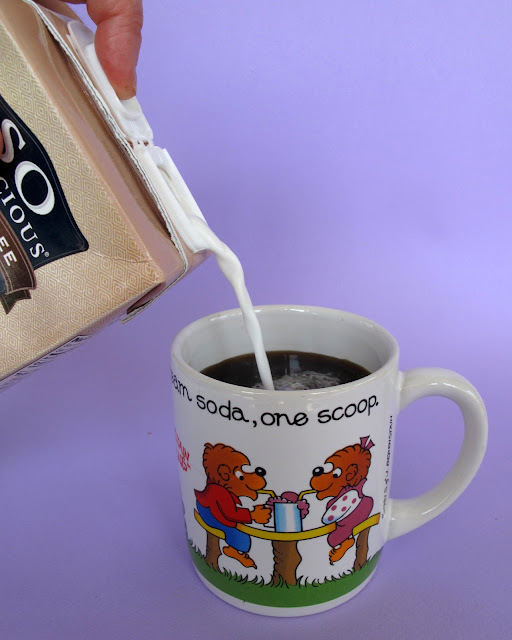 Being a non-sweetened milk was nice because the Strawberry Crisp is pretty sweet on its own. Having shelf stable milks is convenient because you can hang on to them until you really need them. Having more options out there is great for everyone and you can't go wrong with coconut milk. So Delicious sent me a couple of free coupons to give away! 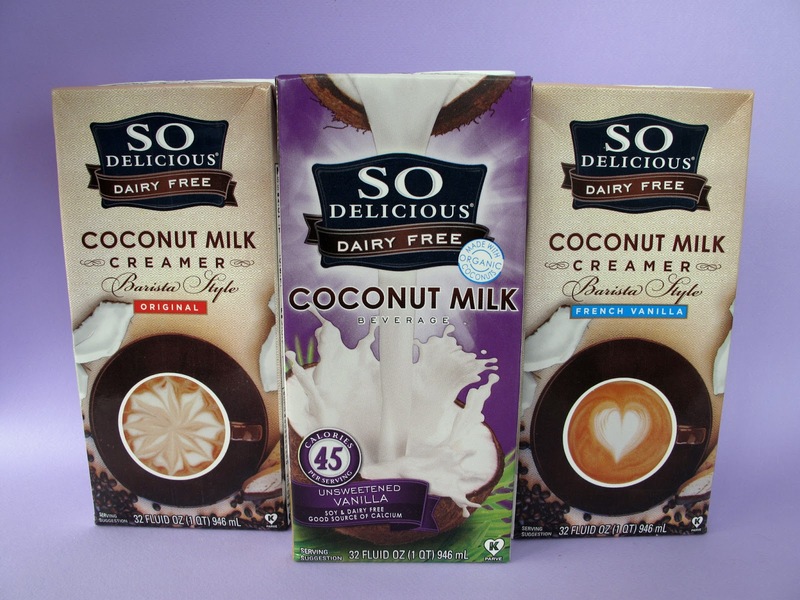 Write below in the comments which of the milks you would like to try. And leave an email so I can contact you if you win. Contest ends 4/2/13 at 6pm CST. 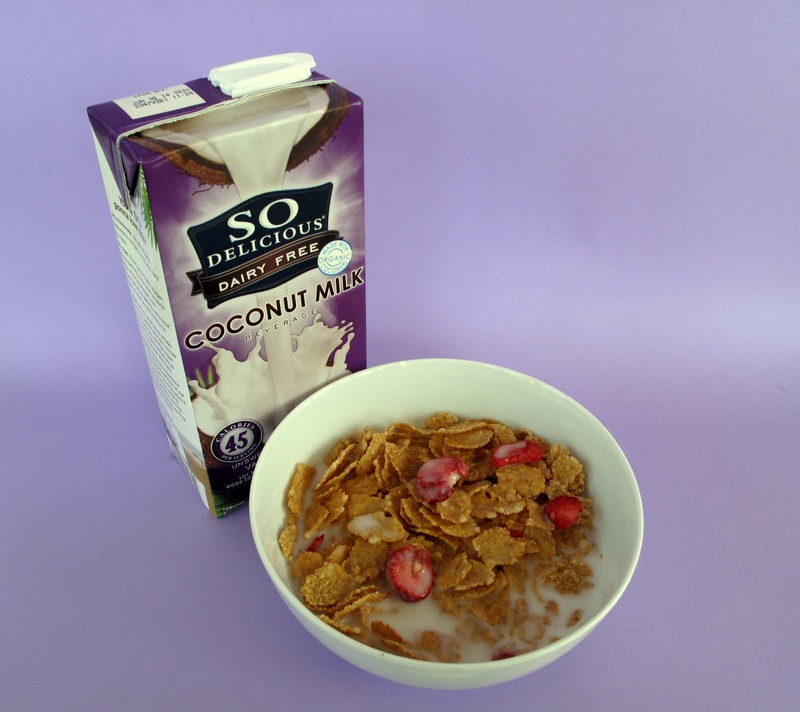 Don't forget to like So Delicious on Facebook or follow them on Twitter! 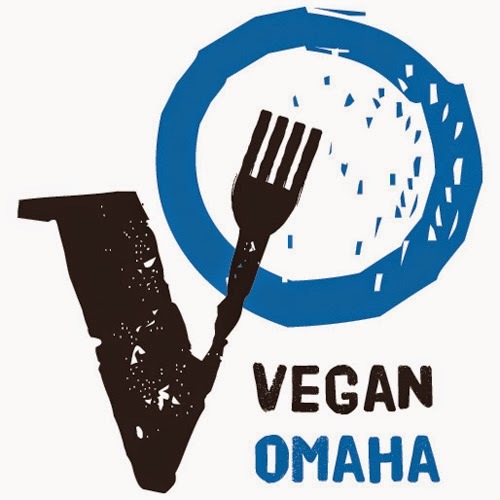 One of our local supermarket chains, Hy-Vee, has a "Health Market" in the corner of the store where they sell Vegan and Vegetarian-friendly stuff. So usually when I shop there, I go straight to the Health Market and produce isle and then I jet. On my last shopping Hy-Vee trip, I ventured to the normal part of the store for the hell of it. When I got to the frozen section I noticed a box that was super familiar and instantly brought me back to my teenage years. It was a box of SuperPretzels. 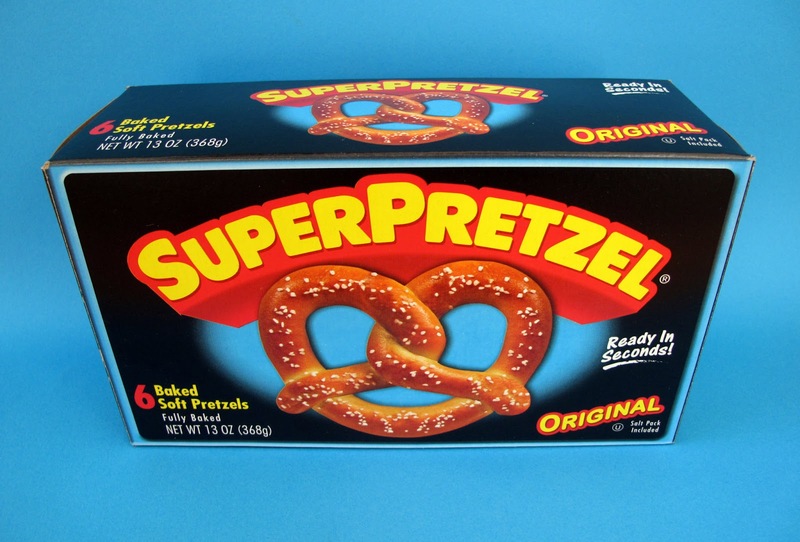 I loved SuperPretzels so much growing up it was unreal. I still knew the instructions by heart: Damp the pretzel with a tiny bit of water, coat with salt and microwave for one minute. It's not that I ever fell out of favor with SuperPretzels, more that I never go to that part of the store anymore and totally forgot about them. So when I looked at the box and all of the ingredients looked legit, I knew....this box was coming home with me! Right off the bat I notice the pretzel is smaller than the one I remember. After 20 years, I can't be too surprised that it shrunk, what hasn't? But I'm happy to report the flavor of your favorite pretzels is the same. Soft, doughy, pretzely goodness. I like that it still has the salt pack so you can choose you how much or how little salt you want. The best part is where as before I NEVER put anything on my pretzel, now I can put Food For Lovers Queso or something equally as awesome on it. 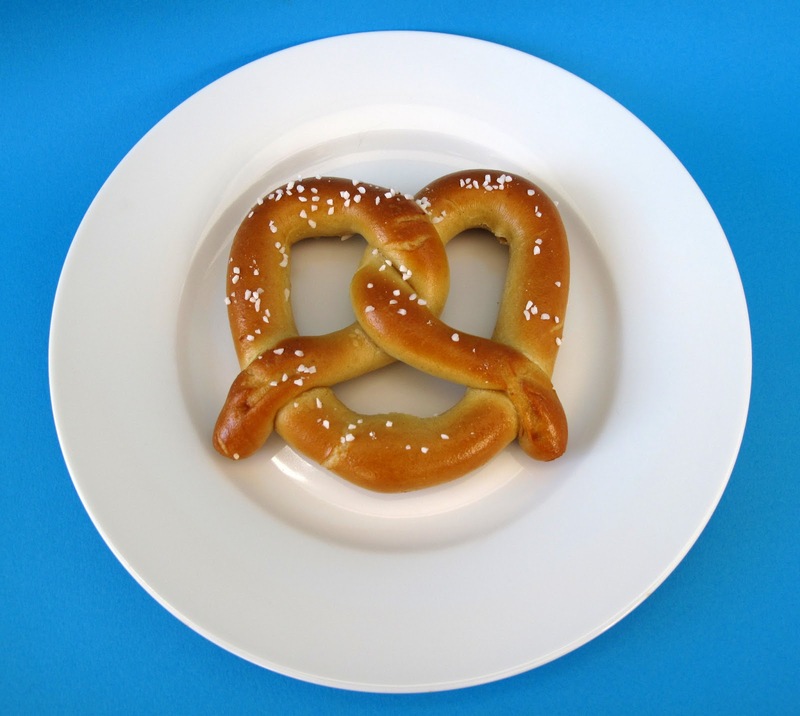 Long live the SuperPretzel! Every once in a while I eat something and it just blows my mind. Well that happened on Christmas of last year when I got a No Whey! Chocolates Holiday Assortment Box as a gift. No Whey! 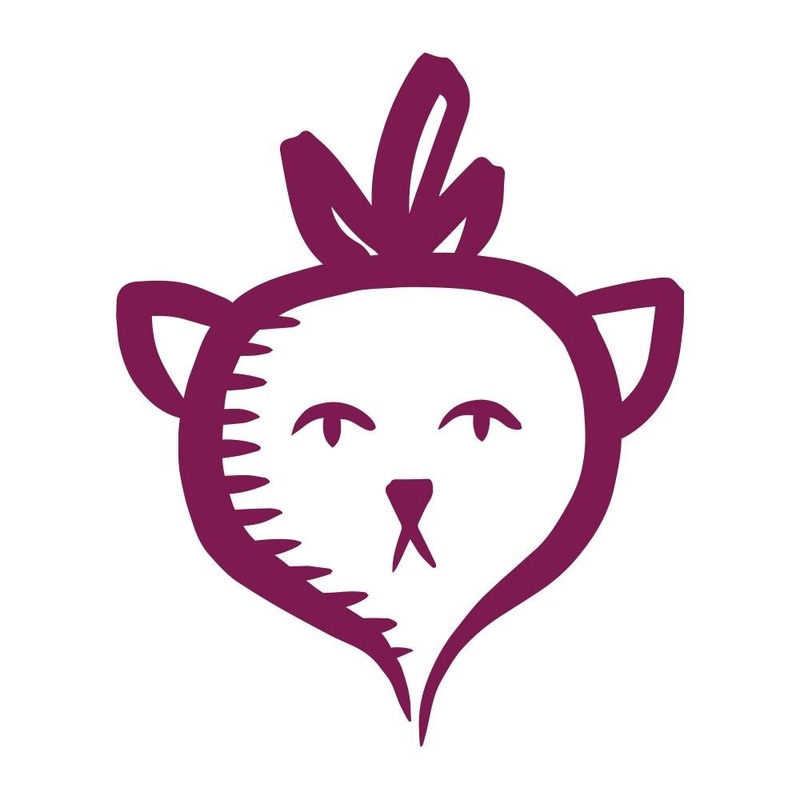 is a little Vegan company out of Cleveland, Ohio. They make super cute chocolates and confections. 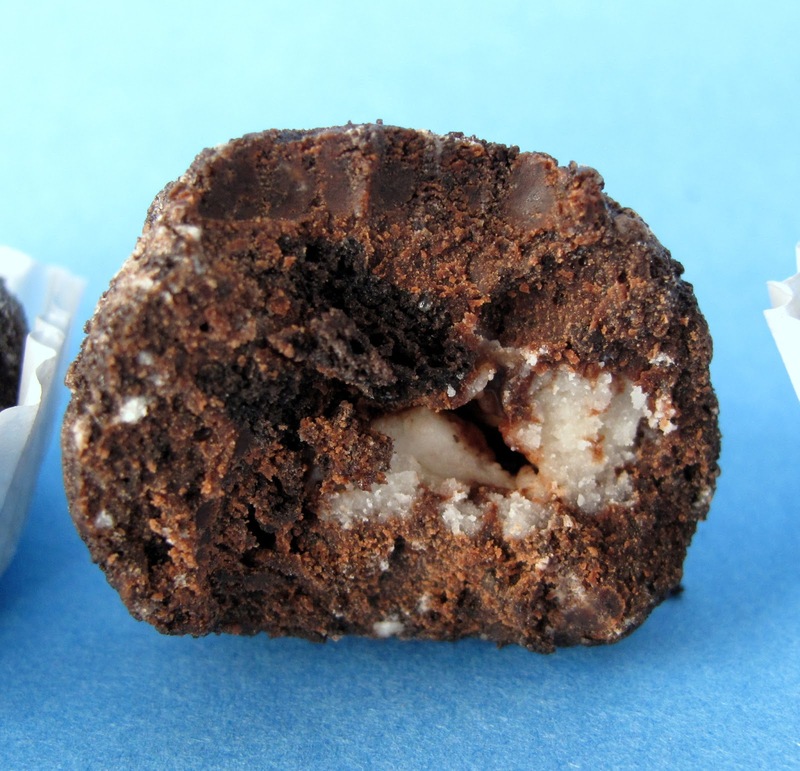 Everything in the Holiday Box was exceptional, but one thing that really stood out was the Cookies and Cream Truffle. I'm a sucker for cookies and cream anything. The mixture of chocolate cookie and white frosting always gets me. 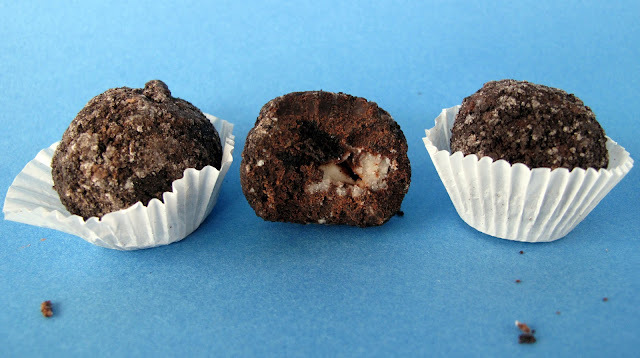 Can you imagine an Oreo truffle that melts in your mouth? Because it totally does. The Cookies and Cream Truffle has a homemade filling, dipped in ganache and rolled in cookie crumbles. The truffles were gone minutes after I took these pictures. I'm afraid to see how many of these I could eat at a time. Unlike the Holiday Box, the truffles are available all year round. Enjoy! Recently, Whole Foods has introduced quite a few new 365 Vegan frozen items. 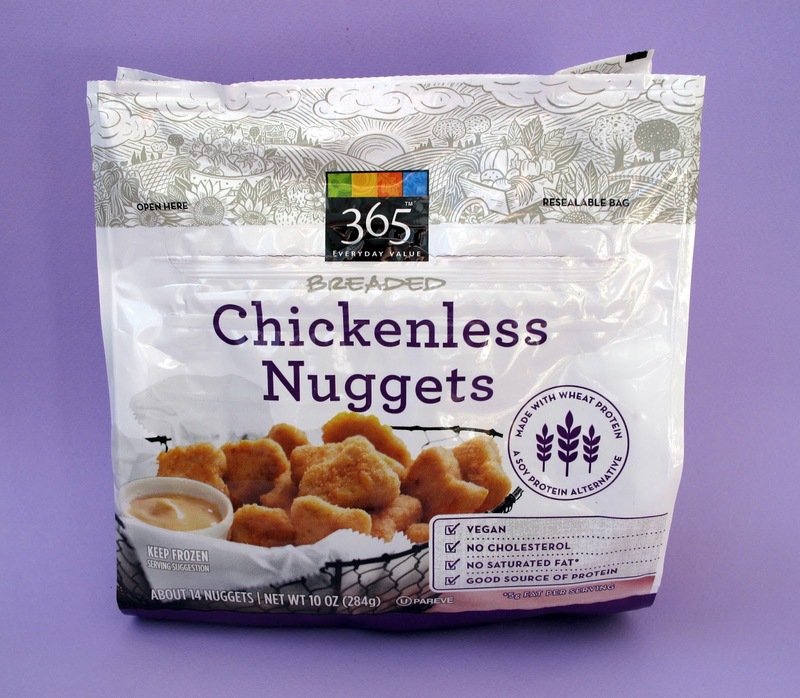 One of them that really caught my eye was the 365 Breaded Chickenless Nuggets. 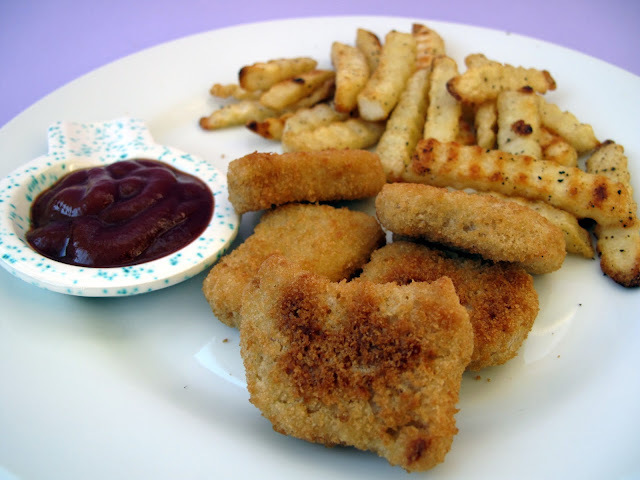 I really loved chicken nuggets growing up and I have been sampling different Vegan chicken nuggets for the last 13 years. These ended up being some of the best nuggets I've ever had! I'm willing to bet most meat eaters won't know the difference. As you can see, I like a little fry action with my nuggets. The 365 Nuggets are nice and crisp out of the oven. In the past, I've had nuggets that were just a soggy mess and that isn't the case here. Taste-wise, they reminded me of my elementary school chicken nuggets. That's not a diss by any means! If you liked chicken nuggets at any point in your life, I think you'll love these 365 Breaded Chickenless Nuggets. I'm always on the lookout for food that reminds me of my childhood. I was an 80's baby, so you know I was brought up on some awesome cereal. Yeah, most of it was sugary and unhealthy, but whatever. 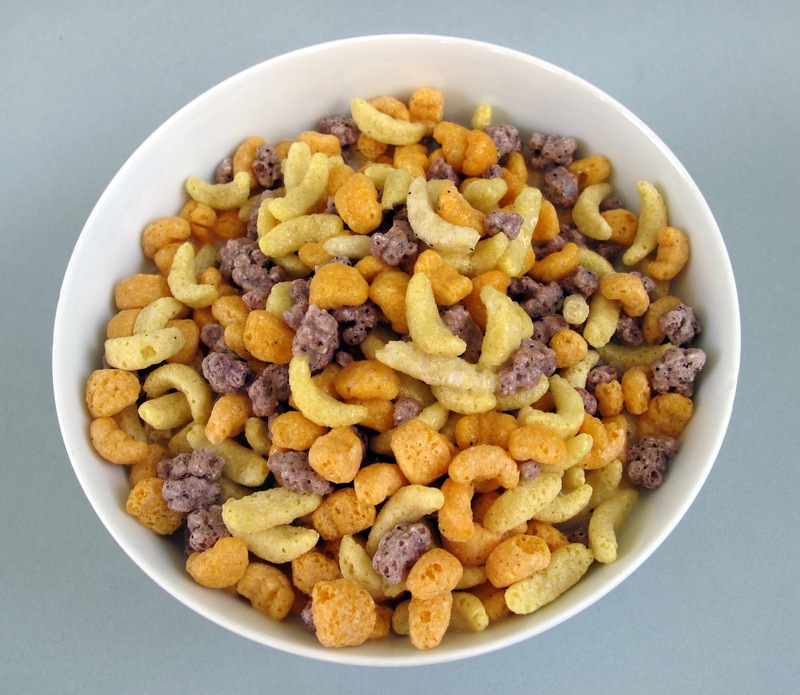 When you look at a lot of natural cereals now days, honestly, they're just boring and lame. 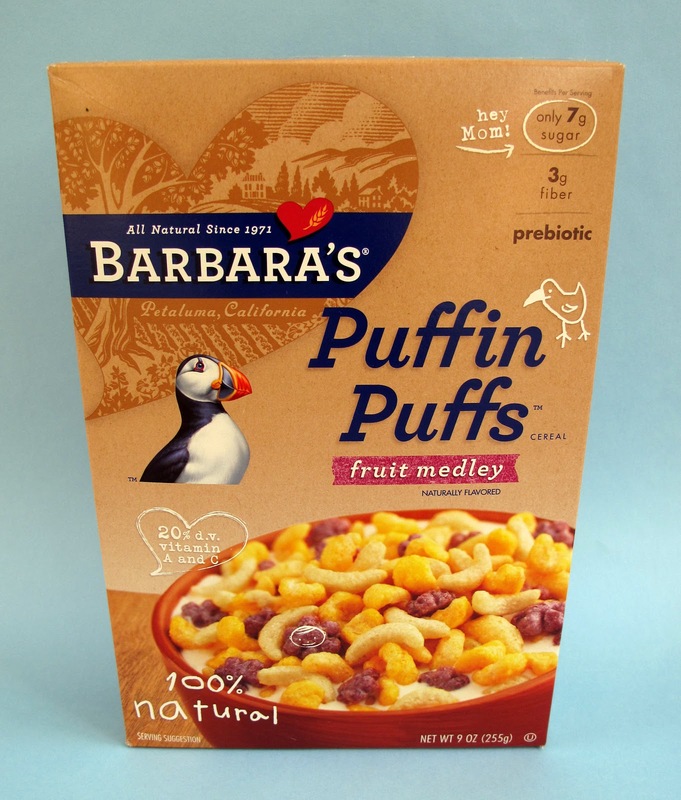 So that brings us to Barbara's Puffin Puffs Fruit Medley. It looks fun and yummy on the box, but is it really? The first spoonful had me thinking Trix, but not watered down natural Trix, like full flavored fruity Trix. Kids will love this stuff! It even has the cute fruit flavored shapes for banana, orange and grape (reminds me of Runts.) It's the kind of cereal that you can't wait to finish so you can drink the leftover milk (almond, of course.) If only it came with a toy in the box, my 80's time-warp would be complete. In conclusion, the next time you're looking for a fun, kid-friendly cereal that adults can enjoy too, Puffin Puffs Fruit Medley is the one! Subscribe to Laziest Vegans Blogposts! Visit The Laziest Vegans in the World's profile on Pinterest. Vegan Fish and Chips with Nature’s Charm Banana Blossom! Saying Good Bye to My Number One. Don't Eat Off The Sidewalk! the 24 days of christmas...and beer. All photos, graphics and text copyright to John McDevitt, unless otherwise noted. Please ask before sharing or re-using. Thanks! All photos, graphics and text copyright to John McDevitt, unless otherwise noted 2010-2019. Simple theme. Powered by Blogger.